NMDC, the central government-owned mining entity, says its upcoming integrated steel plant at Chhattisgarh could contribute nearly $1.7 billion (Rs 11,800 crore) to annual revenue (assuming full capacity output). It goes on stream in the second half of 2019-20. It is also implementing a slurry pipeline project to transport iron ore, saying this would cut logistics cost by 55 per cent. Its strategic plan is to raise iron ore mining capacity, focus on value addition and a global presence. The current mining capacity is 43 million tonnes per annum (mtpa), to be raised to 67 mtpa by 2021-22, via expansion at existing sites and new ones. The operating mines — Kirandul, Bacheli and Donimalai — will see capacity raised to a combined 52 mtpa. 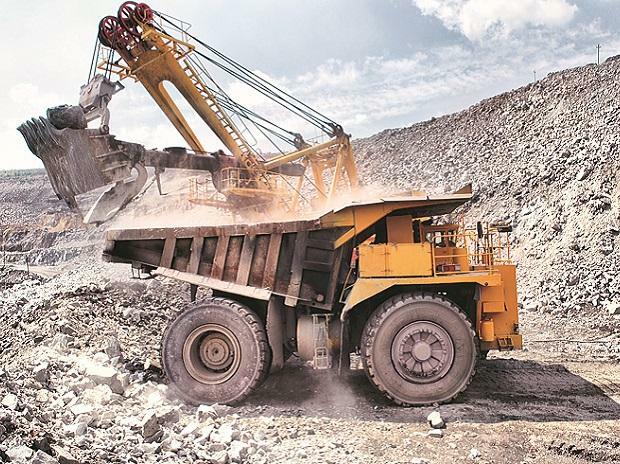 New mines in a joint venture with Chhattisgarh Mineral Development Corporation will add 15 mtpa. Iron ore production in 2018-19 (provisional) was 32 mt (it was 35 mt the previous year), translating to 18 per cent market share. Contribution from its Karnataka mines dropped to 28 per cent, from the earlier 34 per cent; the rest came from its Chhattisgarh mines. In Karnataka, the company has been facing issues relating to high import, affecting local offtake, and on royalty payment. Around 31.2 mt was sold in the Indian market in FY19 (from 33.5 mt earlier); export was nearly 1.2 mt (from 2.6 mt in FY18). NMDC exports to Japanese and Korean steel mills, through MMTC, under long-term contracts. However, average sales realisation went up. For lumps in the domestic market, it rose to $62 a tonne (April-December 2018), from $50 in 2017-18. For ore fines, a rise to $50 a tonne, from $41. In export $76 for lumps (from $71); fines saw a drop to $54, from the earlier $56. The integrated steel plant is part of the value addition strategy. The cost (this estimate is being revised) is stated to be $2.22 billion (Rs 15,300 crore). The rated annual capacity is 2.7 mt. Sources say there will be 60 per cent capacity utilisation in the first year, reaching 100 per cent in the third (and then an estimated $1.7 billion in annual revenue). The other value addition project is the ore slurry pipeline, at a cost of $415 million for the first phase (Rs 28,700 crore), for sending pellet feed concentrate from Bailadila to Jagdalpur. A 2 mtpa ore processing plant at Bacheli and a 2 mtpa pellet unit at Nagarnar are part of this project, likely to get commissioned by the first half of 2021-22. NMDC estimates the cost of evacuation from Bailadila to Vizag port would reduce to $8 a tonne, from around $17 now.